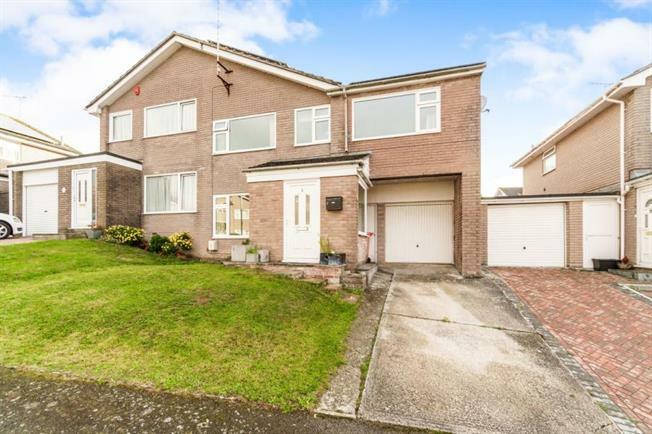 5 Bedroom Semi Detached House For Sale in Torpoint for Offers Over £250,000. This spacious semi detached family home is set within a cul de sac location within close proximty to local schools. The property briefly comprises five bedrooms, lounge diner, kitchen, upstairs bathroom, upstairs shower room, downstairs wc and entrance porch. The property also benefits from off road parking, an integral garage, and solar panels which are owned outright.